Game play against the computer and the pass and play mode should be added with the next update to Wheel of Wealth. The neat thing about Wheel of Wealth is that being cross platform you can start an online game on your Windows Phone and pick it up on the Surface or Windows 8 computer. 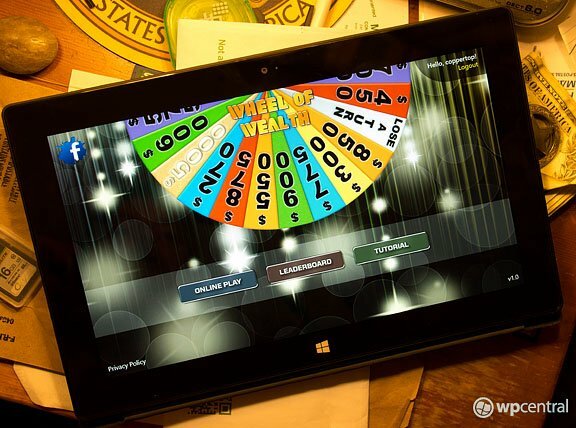 Wheel of Wealth is a free, ad supported game that you can find here at the Windows Phone Store and here at the Windows 8 Store.